Welcome to the website of Arts & Sciences Lodge No. 792. Our Lodge was constituted by the Grand Lodge of Ohio on October 30, 2010, marking the culmination of a three year effort to create a lodge that offered its members and visitors an opportunity to enjoy the full measure of what Freemasonry has to offer by way of tradition, education, and personal improvement. Arts & Sciences Lodge meets monthly on the third and fifth Thursdays at Avery Masonic Hall, 3980 Main Street, Hilliard, Ohio. Members and visitors dine together at 6:00 p.p. 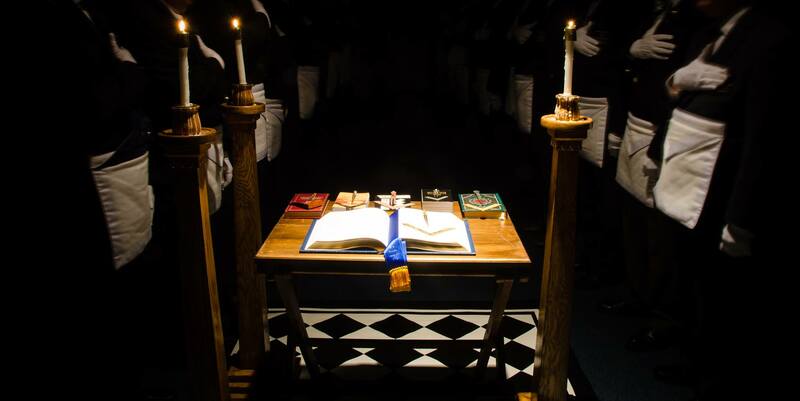 on the second floor of the Old Bag of Nails restaurant in Hilliard, and the Lodge opens at 7:30 p.m.
Each meeting features a discussion of some Masonic topic in addition to degree work or short administrative business (if any). Masonic visitors are always welcome! If you are a Freemason and would like to visit, contact the Secretary so that he can share the evening's agenda with you.